Ralph Bivins reports on the broad consensus from economists, analysts and experts at the National Association of Real Estate Editors 44th Annual Real Estate Journalism Conference in Austin. In Mr. Bivins post at “The housing recession is not over and other myth-defying truths from national real estate experts“, we learn that experts, such as Stan Humphries at Zillow, are saying the bottom will be long and flat, not hit bottom and see a V-shaped recovery. 1. The housing recession is over. It’s not. Home prices are continuing to fall in some places and the market won’t hit bottom until the third quarter of 2010. 2. The first-time home buyer tax credits saved the market. Wrong, Humphries said. Research shows that only one in five of the buyers that took the tax credit bought a home they would not have purchased anyway. 3. The foreclosure problem is going away. Actually, foreclosures are still increasing and they will plague the market for awhile, Humphries said. 4. Home appreciation will begin again after the market hits bottom. Read the entire post by clicking the Real Estate Confidential logo above. 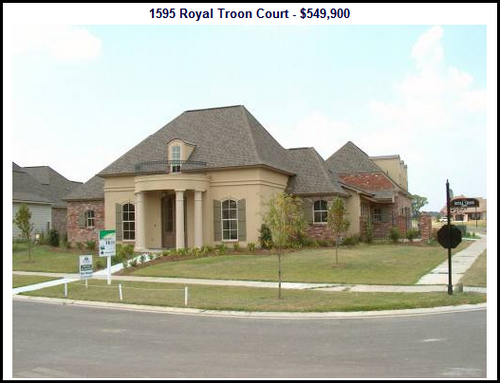 How much of this applies to the Baton Rouge Real Estate market is not totally known. While the Baton Rouge market has weathered this national storm fairly well, kind of Teflon coated, going forward we do operate within the national economic framework. We do have leadership in Washington now that opposes the industries that fund our Louisiana economy (oil, gas, chemical industry and the result Obama moratorium on drilling). What will the impact on Louisiana and Baton Rouge from this oil spill that could just get worse if BP can’t cap this leak and if BP files for bankruptcy? And, we do have local real estate challenges with a slower housing market, mortgage delinquincies, relatively high housing cost (new construction pricing is still very high compared to local incomes), and still an oversupply of high-end housing resulting in a softer high-end market. 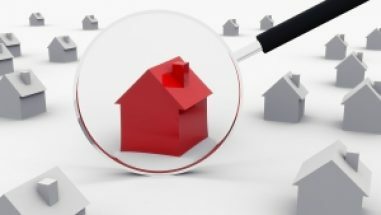 Check www.fsbobr.com and you’ll find plenty of high-end housing on the market. New High-End Home Just Sits On The Market With No Buyers Since August of 2008 In 3 Different MLS Listings…Possibly Because Of Sticker Shock Pricing And Financing Challenges In U.S. Mortgage Market. Was The Greater Baton Rouge High-End Pricing Sustainable? NOTE: About Ralph Bivins: Ralph Bivins, former president of the National Association of Real Estate Editors, is editor-in-chief of realtynewsreport.com and was a chief organizer of the NAREE conference.